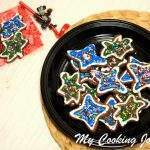 I recently joined a new baking group called the Home Baker’s Challenge. 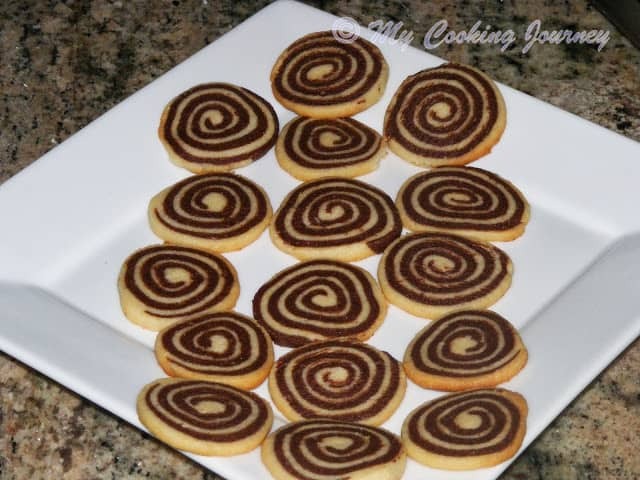 This is my first bake with the group and it turned out to be a wonderful one. In my house the debate for vanilla Vs chocolate is always on. My husband and little one are chocoholic, whereas I and my older one prefer vanilla over chocolate anytime. 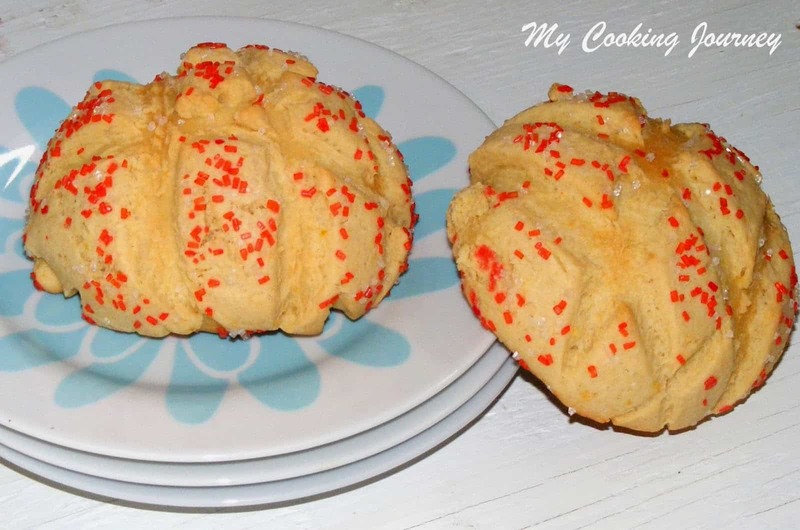 This cookie turned out to be a perfect piece to satisfy both our taste buds. 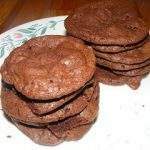 This cookie was not too chocolaty but at the same time had a distinct flavor of chocolate that one cannot miss. 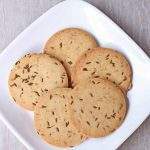 The cookie is very easy to make, but do leave aside some chilling time, as the dough needs to be very cold and firm before we slice it. 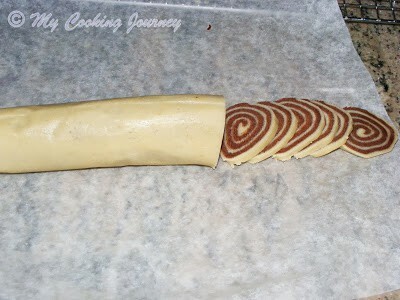 It is summer vacation for us here now, so I have a log always chilled (frozen) and ready to bake when my kids have company. 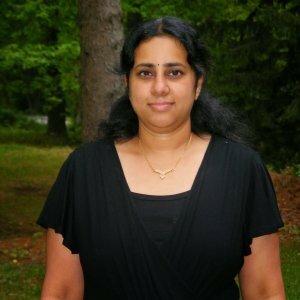 This recipe was suggested to us by Viji of Virunthu Unna vaanga. 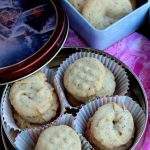 The recipe was adapted from The Heritage Cook. Sift together the flour, baking powder and salt and keep it aside. 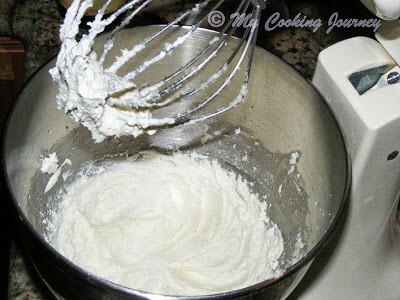 In the mixer, beat together the butter and the sugar until light and fluffy. Now beat in the egg and the vanilla and beat until well combined. 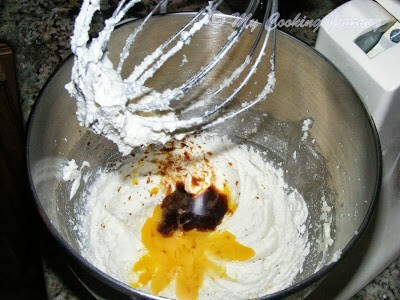 Add the sifted flour mixture slowly over the butter and mix until it forms dough. Now remove half the dough (About 9 0z) and keep it aside. 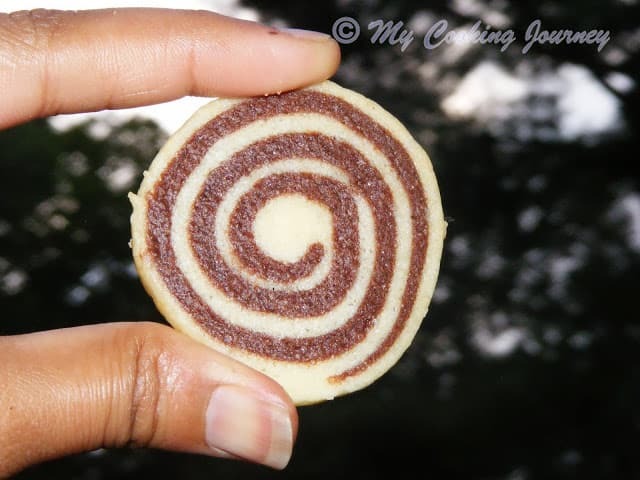 This will become the vanilla layer of the cookie. 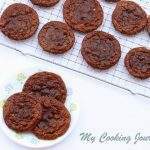 Melt the chocolate in the microwave or a double boiler slowly. 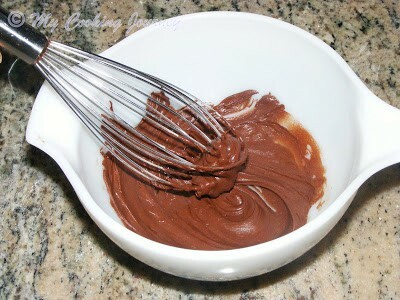 Add the cocoa powder to the melted chocolate and mix well. 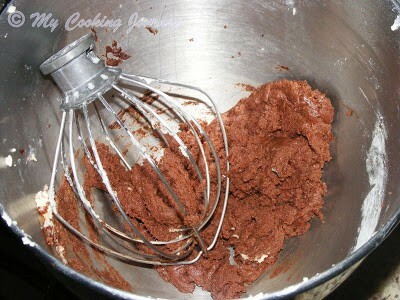 To the other half of the dough, add this chocolate mixture and mix again until the chocolate mixes uniformly in the dough. 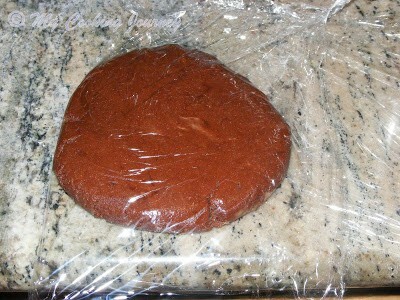 Make discs of both the chocolate and vanilla dough and cover it plastic wrap and chill for about 30 minutes. Depending on where you live, it might need more time to chill. 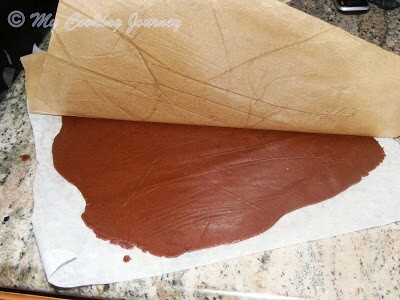 Roll the vanilla layer into a 12 inch square in between 2 layers of parchment or wax paper. 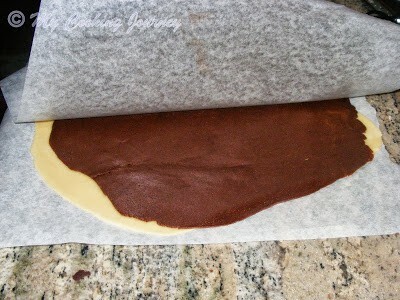 Also roll out the chocolate in between 2 layers of parchment into a slightly smaller square than the vanilla. 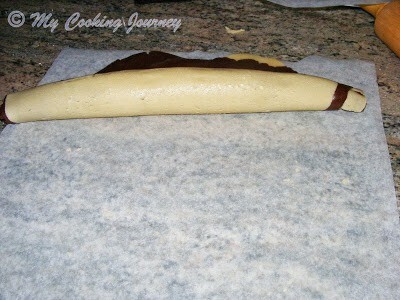 Remove the top parchment from both the rolled out dough and slowly place the chocolate layer on top of the vanilla layer. 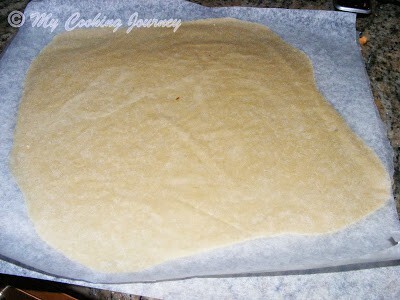 Slightly roll the dough again (using less pressure) to make the two layers stick to each other. 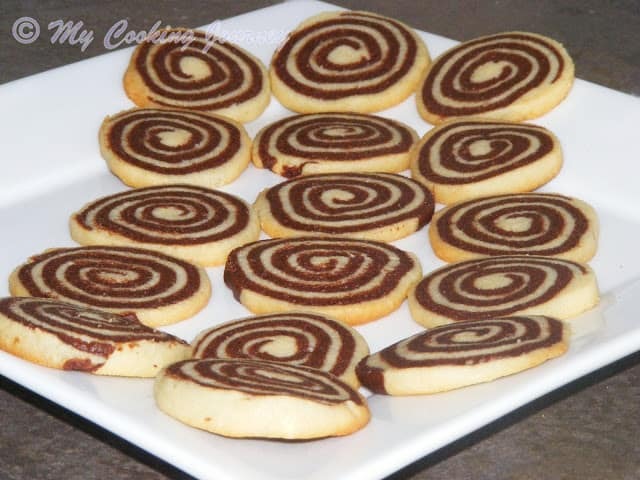 Roll the dough into a tight log. 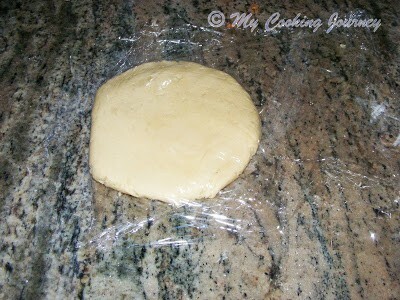 Refrigerate the dough for at least 2-3 hrs to completely harden at this stage. 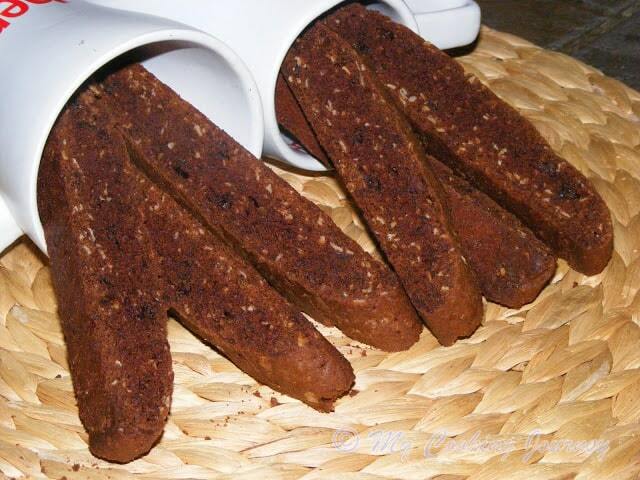 Make sure you lay the dough carefully in the fridge so that the shape of the log does not get disturbed. I froze my log for about an hour and then took it out to cut. Remove the log from the refrigerator or the freezer and roll it back and forth couple of times to bring back the nice circle. 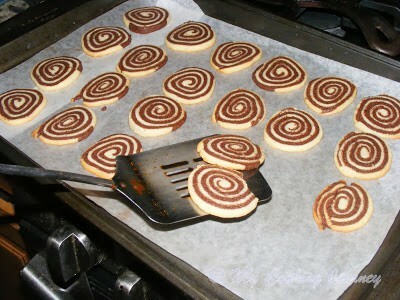 Now using a sharp knife, cut the log into ¼ inch thick cookies and place them on a parchment layered baking sheet. 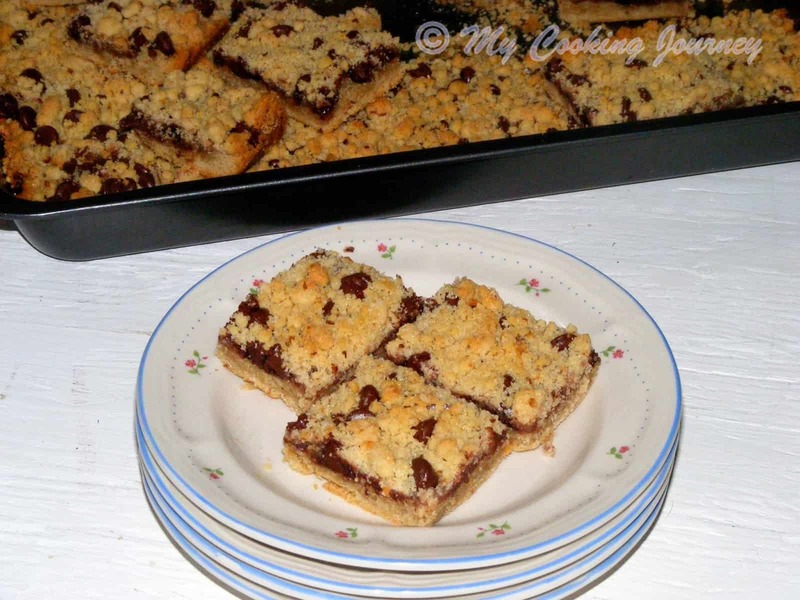 Bake them at 350 F/180 C preheated oven for 9 – 12 mins. 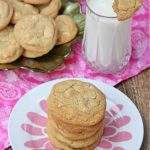 Watch out the base of the cookies when baking. 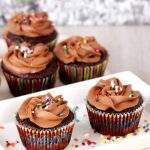 The chocolate layer tends to become brown much quicker than the vanilla. Cool on wire rack and when completely cooled, store in an airtight container. 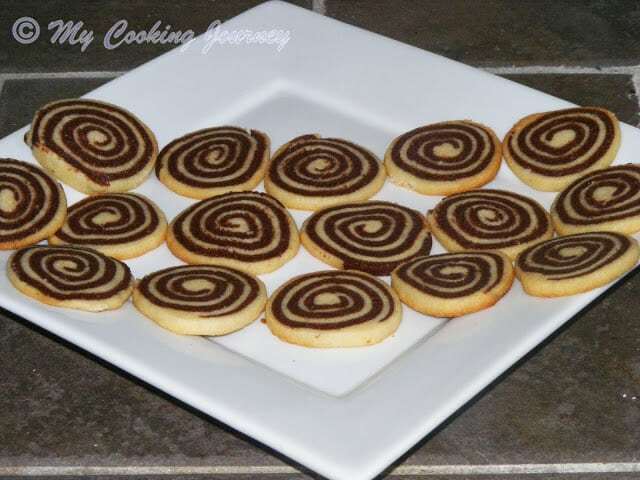 Yummy looking cookies Sandhya….the pattern has come out so perfectly! These are simple awesome !